So, I think I mentioned in a recent post how our district signed us up for Google accounts (in Color-Coding Google Docs Folders). And by “us” I mean ALL of us…including our students! This is great for so many reasons, one of which I’d like to share today. My 5th grade classes has been working hard on drafting their memoirs. And you know how it goes as you get closer to the end of a big writing piece…those conferences become really important. I hope I’m not alone in saying this, but I find it really hard to get to everyone as much as I would like. It’s like I need five of me to conference. 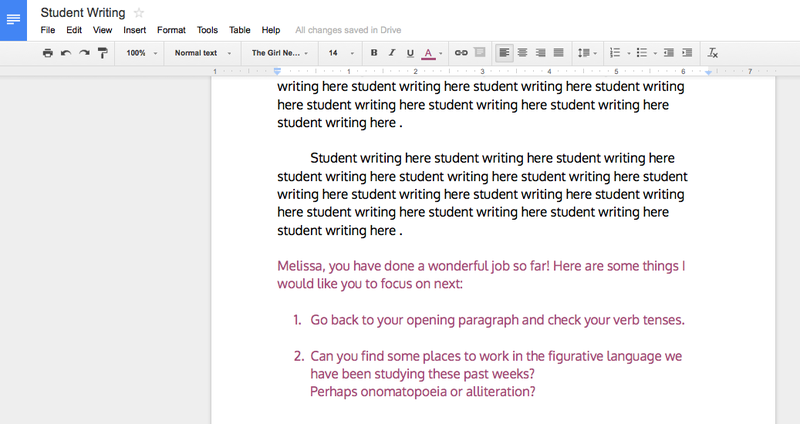 And that where Google Docs comes in! Thanks to the sharing feature, my students are able to work on their memoir drafts, share with me, and I can write notes back to them…providing a conference digitally, even if I don’t get to see a particular student that day. 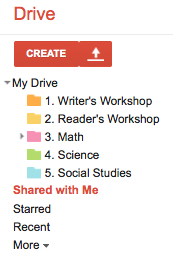 Any shared docs get sent right to my mailbox, so I can see which of my students are ready for my input. My students go back the next day and work on the checklist, then erase any notes I left them. I always use a colored font, so it will stand out easily. My 5th graders love this (“Did you see my memoir?” “Did you write to me? ?”) and I LOVE that I can touch base with them, even if I didn’t get to in Writer’s Workshop that day. Do your students have access to Google accounts? Do you have ideas for student docs to share with us? Once the students have addressed the comment, they can click Resolved and the paragraph will no longer be highlighted and the comment will be taken off the side. Thank you Barbara! !